Sraith C Coláiste Pobail Osraí 32 v Muinebheag VS 10. 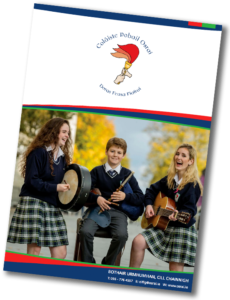 Bhíomar i bhfad rómh láidir dóibh agus d’fhéadfadh linn scór níos airde i bhfad fós a fháil. Tús maith leis an séasúr. Cosaint mhaith agus an cuma ar an scéil go bhfuil tosaí láidir nua faighte againn in Alan Ó Murchú. An chosaint ag Nathan Mac Óda agus Eoin Snyder. Príomh scórálaithe: Pádraig Ó Fearghaíl 12, Rónán de Buitléar 7, Pádraig Ó hAirmhí 2, Pádraig Ó Laoighre 3, Dónal Pléamóinn 2, Alan Ó Murchú 2. Craobh C: Coláiste Pobail Osraí 36 v Kilrush 27. Bhí Alan Ó Cuileann, Pádraig Ó Fearghaíl agus Nathan Mac Óda in easnamh orainn, mar sin bhí brú mór ar an seachtar a thaisteal chun imirt as a graiceann. Ní raibh againn ach Alan Ó Murchú mar fear mór chun tosaigh agus Pádraig Ó hAirmhí a rinne jab iontach láidir an freasúra a choineall amach ón gciseáin. Bhí sár chosaint againn le Rónán, Eóin agus Pádraig Ó Laoighre ag déanamh éacht. Rinne Aaron agus Dónal go maith nuair a tháinig siad ar an gcúirt. Ar an ionsaí ba é Rónán a bhíomar ag braith air agus d’aimsigh sé 30 pointí dúinn!! Arís, sár obair ag buachaint na aispreabanna ag Alan Ó Murchú. Scórálaithe: Rónán de Buitléar 30, Alan Ó Murchú 3, Pádraig Ó Laoighre 3. Coláiste Pobail Osraí 14 v Pres Ballingarry 10. Cluiche dian a bhí anseo agus is ar bonn ár gcosaint a rugamar an bua linn. Ba léir go raibh obair le déanamh fós ó thaobh struchtúr ar an ionsaí ach go háirithe. Sár imirt sa chosaint ag Amy, Christine, Emma de R., Aoife, Molly agus Aoise ach go háirithe. Emma ní cheallaigh, Aoibheann, Aisling agus Christine a bhí tábhachtach san ionsaí. Scórálaithe: Emma Ní C 8, Aisling 2, Aoibheann 2, Christine 2. Coláiste Pobail Osraí 5 v Stella Maris 15. Bhí ár gcosaint go maith in athuair ach faraoir ní raibh aon freagra againn ar an zone eagraithe a bhí á imirt ag Stella Maris. Ceacht múinte acu dúinn ó thaobh cosaint dó. Cinnte gá le obair ar struchtúr an ionsaí. Coláiste Pobail Osraí 23 v Abbey 18. Réalta nua sa chosaint aimsithe againn sa cluiche seo – Caoilfhinn ach go háirithe ach laochas ó Aoibheann, Aisling, Aoise, Emma, Christine agus Aoife. Chun tosaigh Emma Ní C is mó a scórál le 15 pointe! Scórálaithe eile ná Christine le 6! agus Emma de R. le 2. Ionsaí níos fearr ach gá fós le feabhas ar an struchtúr ionsaithe.